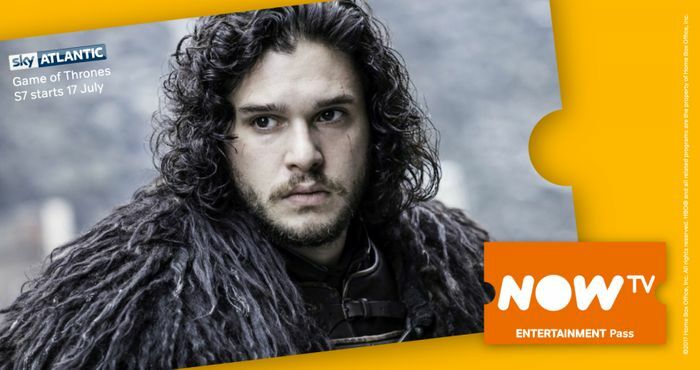 You can officially watch Game of Thrones on Now TV, with an Entertainment subscription pass. They are giving a 7 day free trial (which you can cancel if you don't want to continue), which if you get today will allow you watch the first episode (aired on Sunday) and the second episode (aired this coming Sunday). After this it will then be £7.99 per month, unless cancelled. What do you think of this NOW TV deal? Fab thank you! I know what im doing tonight! Now TV anyways have a free trial, so might be best to wait until the penultimate episode then take it the trial and binge watch it and enjoy the finale along with everyone else. And it's such a short season (only 6 episodes) you only need to wait about a month to wait. Yup. In theory you could wait until the last episode on May 20, then get the free trial and binge it all! This is amazing!!! Thanks for posting!